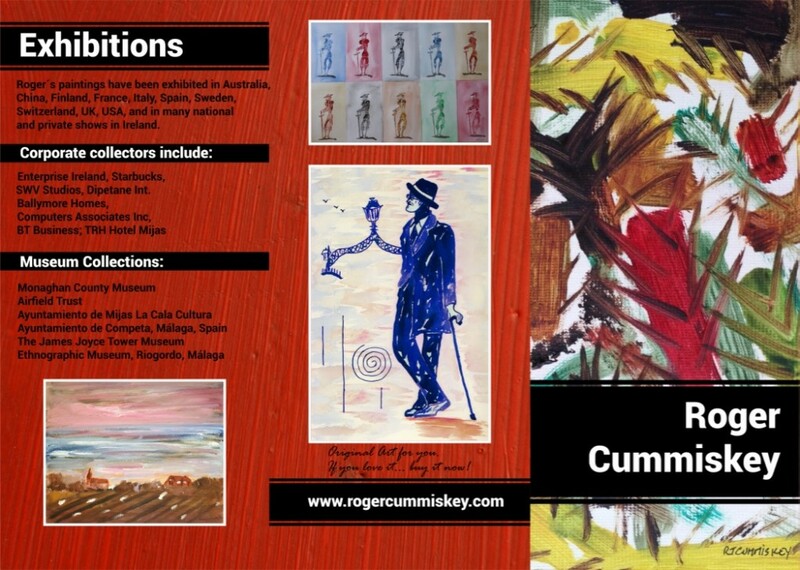 Welcome to my site | Roger Cummiskey - ArtRoger. My brochure June 2017. Designed by Lupita Design. Make it Merry. Make it Bright. I am so delighted that you found your way to my site. In these pages, I want to let you know about my art and myself. I hope that you find something that you enjoy. I am always pleased to hear from people, so feel free to contact me with your thoughts and ideas. I value your opinion. I have had a website presence since 1996. I was born in Dublin in 1944, had a superb childhood, graduated as a B.Comm from University College Dublin, have two beautiful children, Paul and Nichola, married to Dolores, retired to Spain about 18 years ago. We spend over half our time also in Dublin. There are now 5 Grandchildren. I still paint and exhibit. Dolores does cross stitch and quilting. We are both healthy and enjoy life. Love Art – Own Art. Jim Flavin whom I met recently at john’s daughters wedding, told me about the artist you have become! 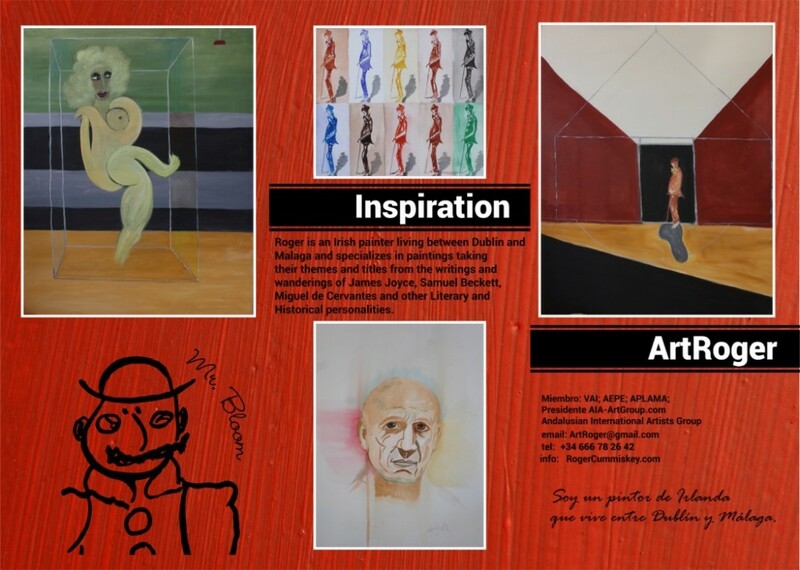 The painting I have seen on your site look very interesting and engaging! Life and health is good. Lovely to hear from you. I can still clearly remember your Mum serving us treats in the kitchen in Grove Ave. in the 50s!